So I held on to my 3rd coin for a few days not knowing what I wanted to get. 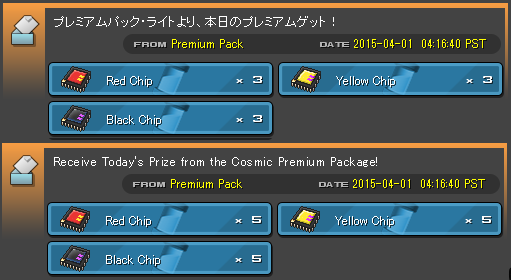 Yesterday I went ahead and got the Premium Pack Lite because I didn't want anything else from the DX coin shop. "Maybe it will drop more omega slot protectors or 30% harmonics than if I had bought them directly", was the thought that ran through my mind. So I will document what I get from the pack to see if whether or not what I bought was worth it. Even if it turns out to be there wasn't really anything I wanted from the DX coin shop so I won't feel as though I wasted it. This was not worth the DX coin as seen on OP. I'll continue updating though just in case this is an unlucky day lol.